As this year comes to a close, it is always nice to look back on the games the team created with talented game designers and artists to bring some very exciting games to the tabletop. 2017 was full of gaming and we were excited to be a part of those moments. We enjoyed seeing everyone at conventions, talking to you online during Kickstarters and on social media. 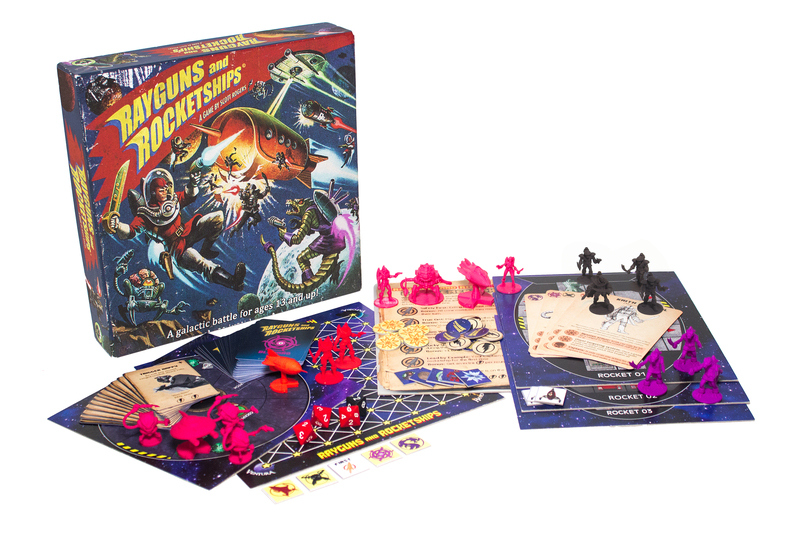 We have some fun games in the works for 2018, with great licenses and great mechanics, but here is a look at the games we released here at IDW. 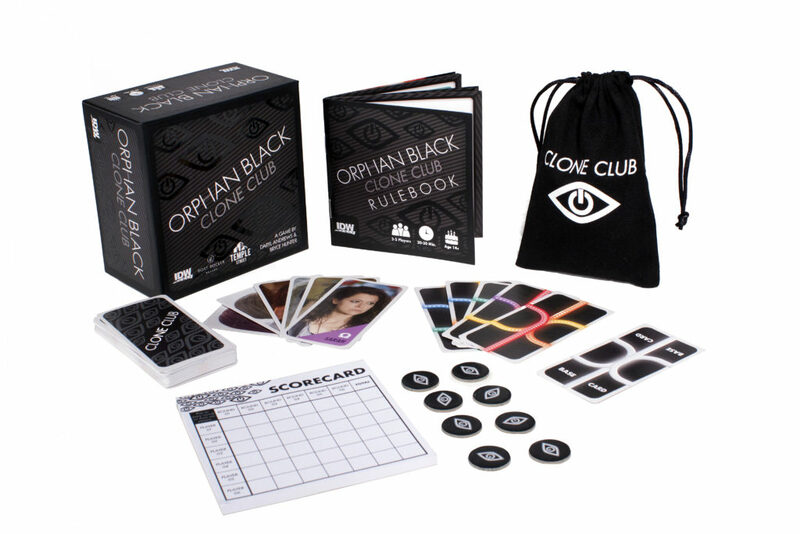 Did these make it to your game night? Be sure to check them out! Thanks for playing and see you next year! Keep your friends close and your pickaxe closer! Mine the caves of the rocky highlands and forge the materials you find into glorious jewelry to please the Dwarf King. 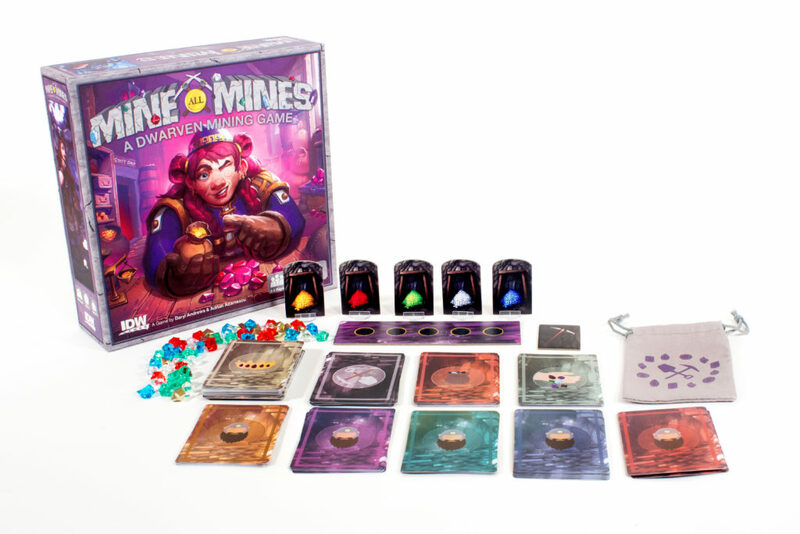 Mine All Mines puts you in control of a . clan of dwarves that you’ll send deep into the mountain to mine precious minerals. Each round, you’ll go deeper into the mines to reap bigger rewards, benefiting from the work of players who’ve gone before you. 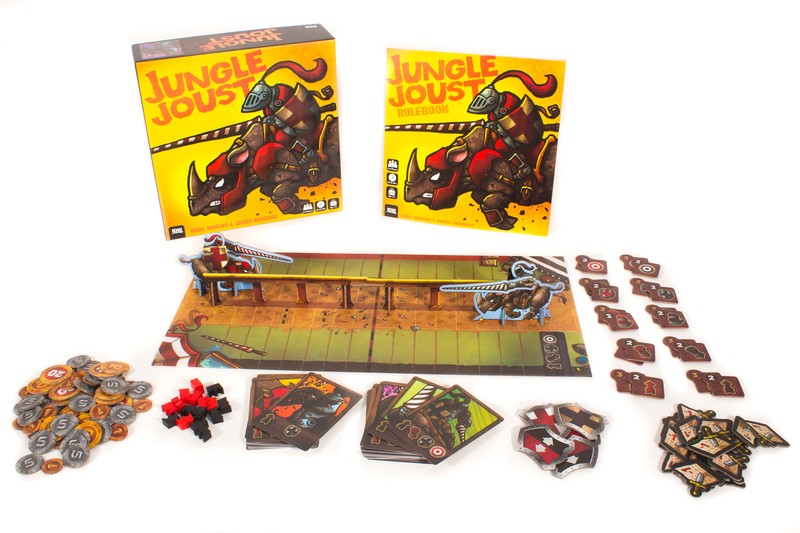 Will you choose to keep the game friendly or will you profit by picking their pockets instead? 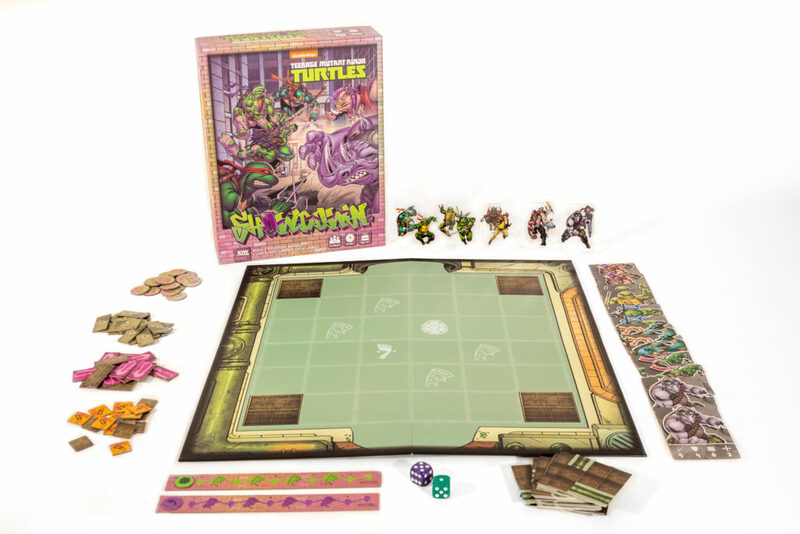 The April O’Neil Hero Pack for Teenage Mutant Ninja Turtles: Shadows of the Past is here! 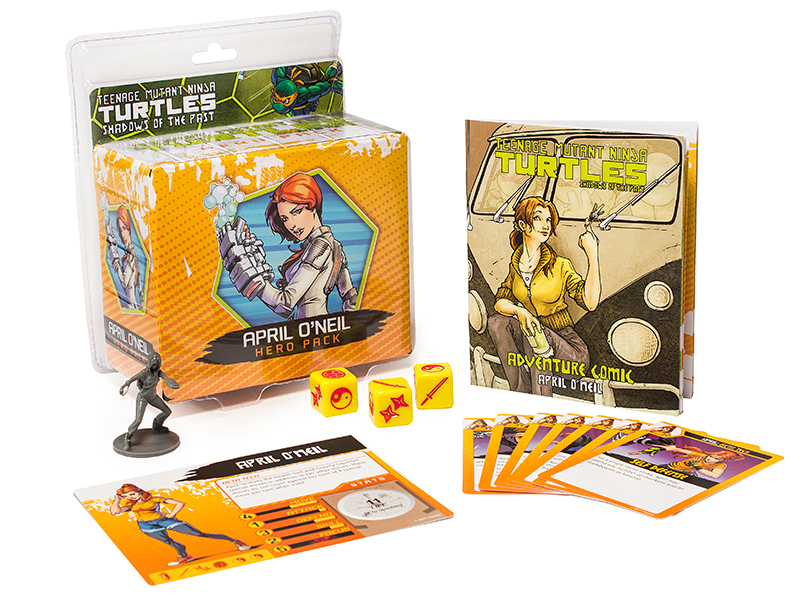 The Hero Pack allows you to use April O’Neil as a playable character in any base game scenario and also contains an additional Adventure Comic with new content. 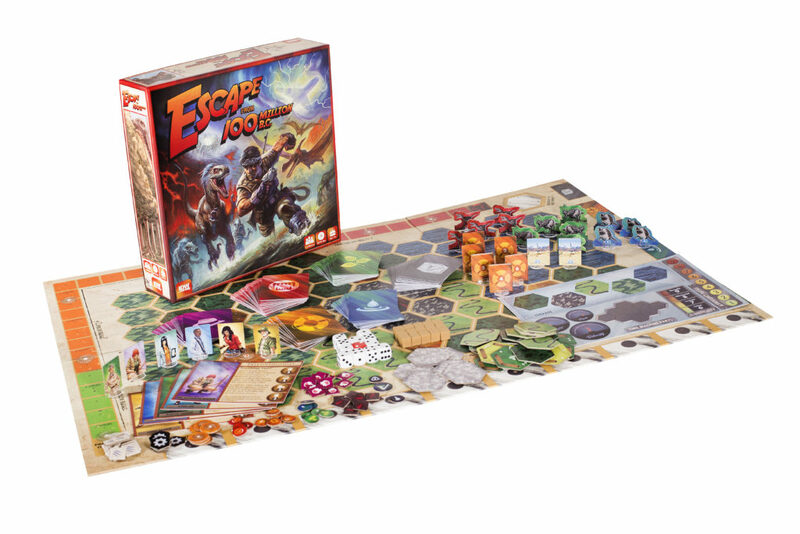 Your team of intrepid adventurers has embarked on history’s first time-traveling expedition; only for the Professor’s Time Machine to malfunction, crashing into the lip of an active volcano and stranding you 100 million years in the past! Your supplies, along with several critical components of the Time Machine, have been scattered around the area. Worse, your presence in the past is causing the space-time continuum to unravel, further destabilizing the volcano that the Time Machine is perched atop! You must retrieve enough Time Machine parts for the Professor to repair the machine for the time jaunt back to the future before a paradox erases you all from history! 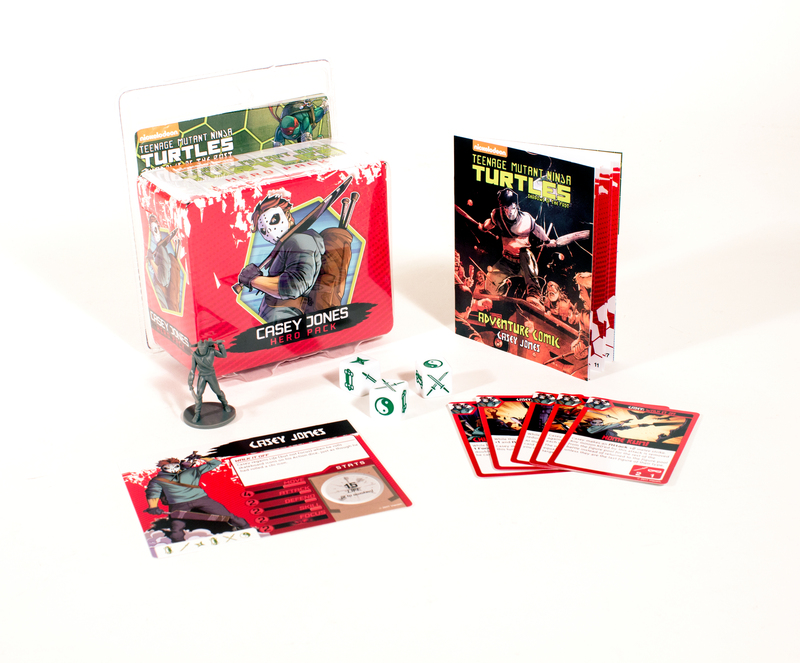 The Casey Jones Hero Pack for Teenage Mutant Ninja Turtles: Shadows of the Past is here! 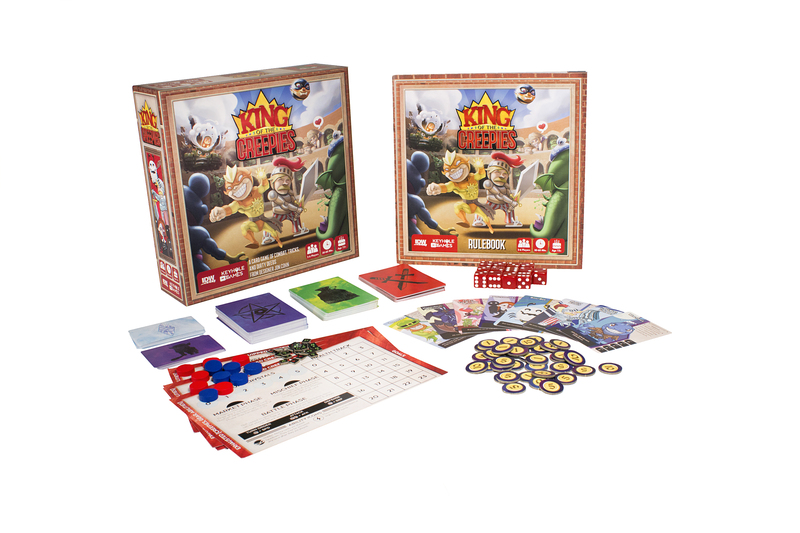 The Hero Pack allows you to use Casey Jones as a playable character in any base game scenario and also contains an additional Adventure Comic with new content. The secrets to your past are locked away in your DNA. Unravel your genes faster than your sister clones or risk becoming a lab rat. 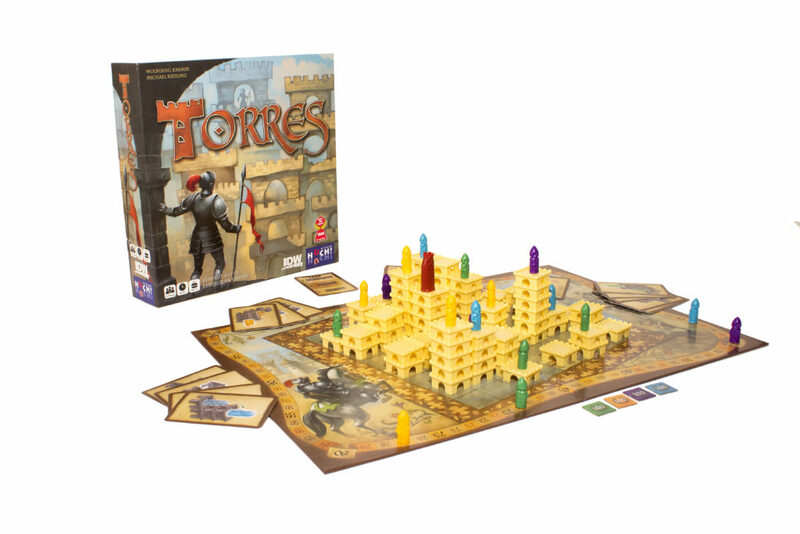 Study your genetic code in order to understand your origin and liberate your future in this fast-paced, tactical card game. Control the longest DNA chains to survive! Welcome to the Clone Club! 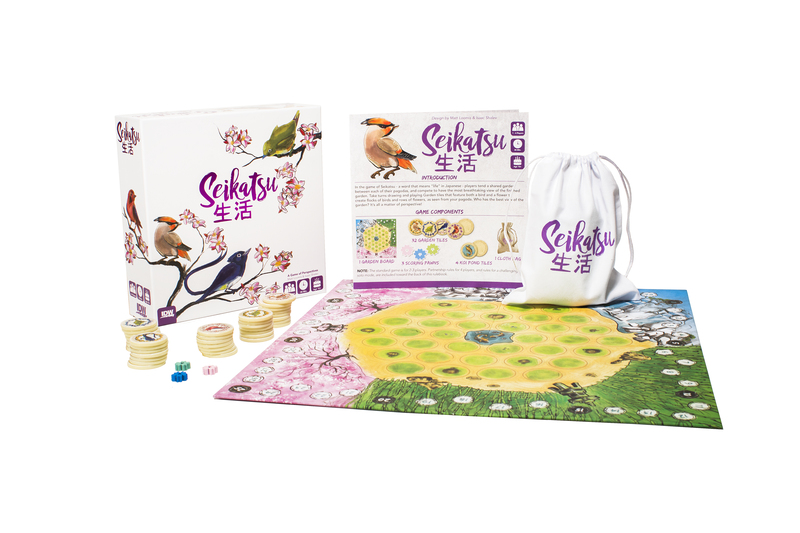 In the game of Seikatsu – a word that means “life” in Japanese – players plant a shared garden between each of their pagodas, and compete to have the most breathtaking view of the finished garden. Take turns drawing and playing Garden tiles that feature both a bird and a flower to create flocks of birds and rows of flowers, as seen from your pagoda. Who has the best view of the garden? It’s all a matter of perspective! 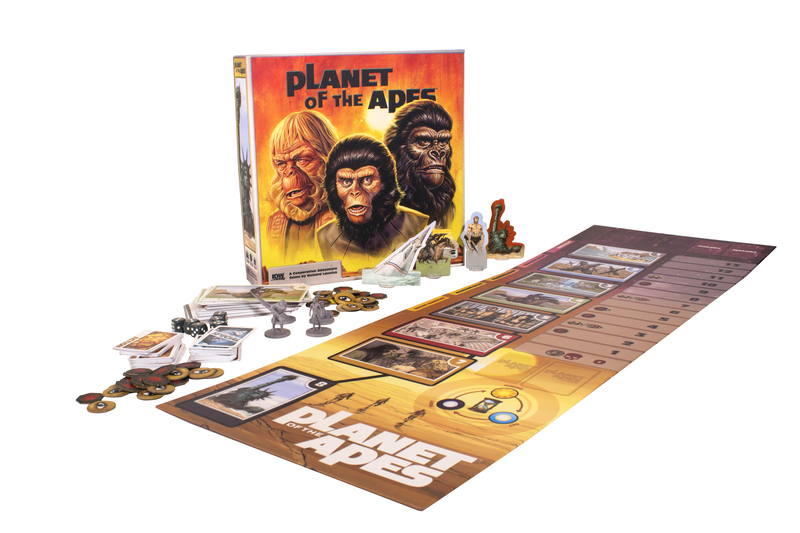 Planet of the Apes puts 1-4 players on a crash course with feral foes, deadly environments, and unbridled psychological horror! 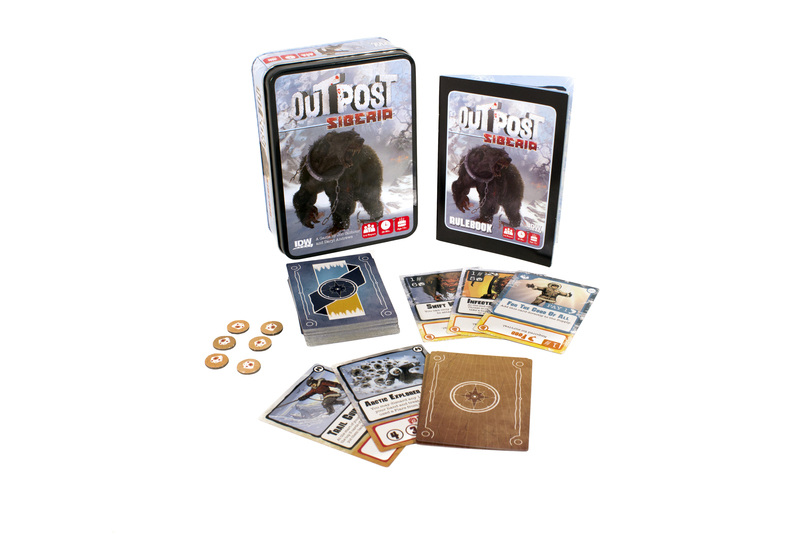 In an innovative twist on the cooperative board game genre, each player takes control of one aspect of Colonel George Taylor’s psyche, and must work together to survive the Planet of the Apes! Rebuild a City, Rebuild an Empire. Disaster has come to the land as the king’s reign nears its end. The kingdom has fallen into disrepair. To ensure continued peace, the king must choose a successor. With a single hopeful decree, the king announces that his successors have 3 years to rebuild the once majestic kingdom. The successor who builds the most impressive castle may yet have a chance to repair the prestige of the shattered kingdom. In 2000, Torres was awarded the Game of the Year prize from the prestigious Spiel des Jahres: the highest honor a board game can receive. 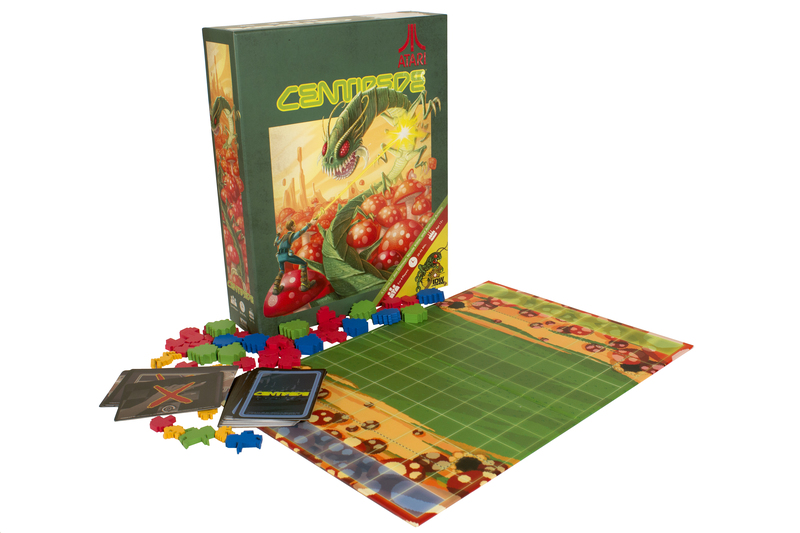 In Atari’s Centipede, 2 or 4 players venture into the world of the classic Atari arcade game. On one side, a Player controls the Gnome, exploring the forest and trying to defeat the Centipede. 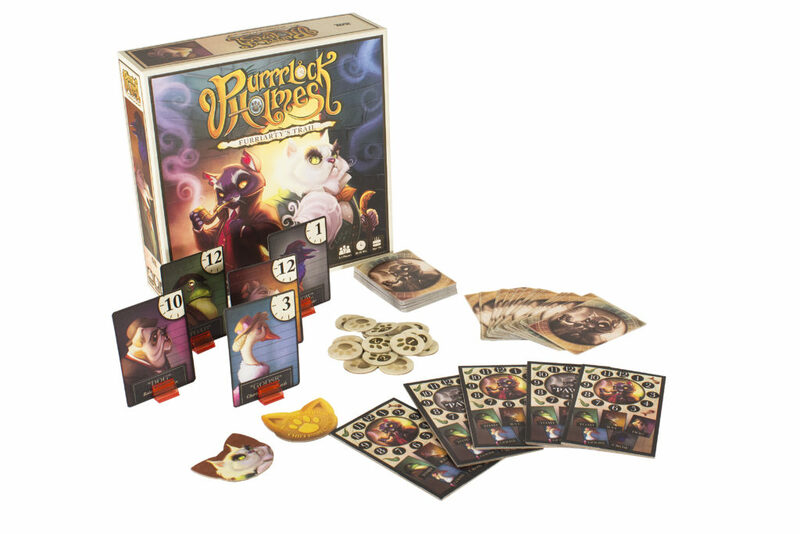 This title is the first in a series of app-enhanced card games. 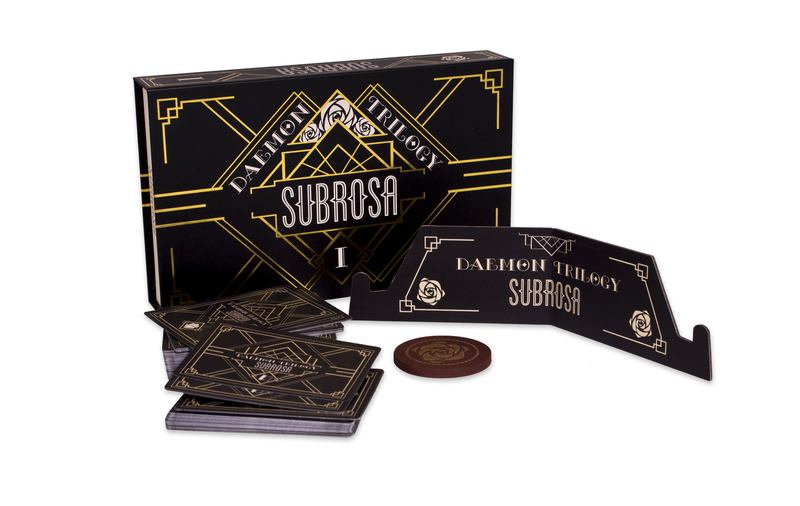 Subrosa takes you along the story of power, control, and double-dealings in a battle of supremacy between the five great houses. 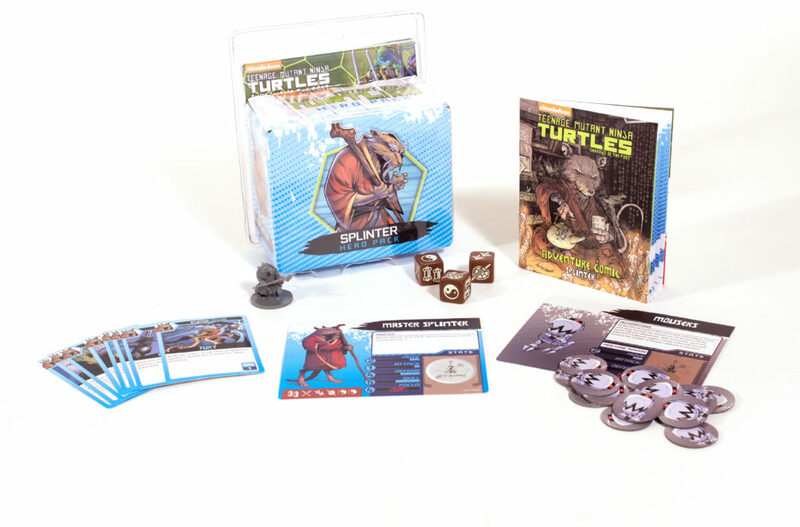 The Splinter Hero Pack for Teenage Mutant Ninja Turtles: Shadows of the Past is here! The Hero Pack allows you to use Splinter as a playable character in any base game scenario and also contains an additional Adventure Comic with new content. Dirk Gently’s Holistic Detective Agency is the first in a series of Everything’s Connected storytelling games where the mysteries are only as loony as the players. 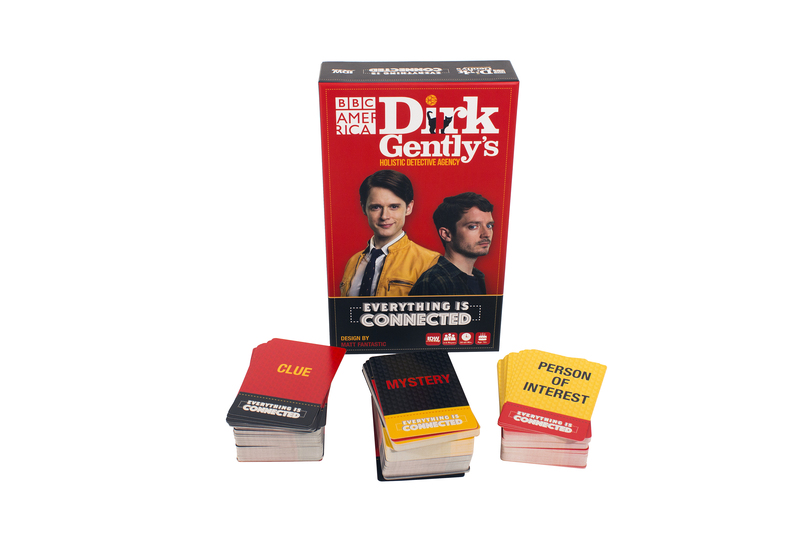 Game designer Matt Fantastic’s Dirk Gently’s Holistic Detective Agency: Everything’s Connected card game has a detective and a holistic detective putting together the clues, accusing a person of interest, and telling their assistants the story of the crime.